Michael Chislock and his team specialize in the disposition and acquisition of single-tenant investment property sales, with a specialization in government-leased real estate. This group is uniquely positioned to service investors that develop, acquire, and own single‐tenant properties located throughout the United States. Targeting both private and institutional investors looking to grow their portfolio or transition into a more diversified range of assets. 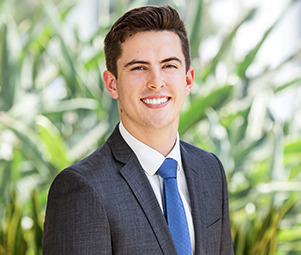 Michael uses his attention to detail, unrelenting determination, and proven work ethic to find his clients the most lucrative investment properties on the market. While attending the University of Texas, Michael received invaluable experience working under the Governor in Economic Development where he facilitated the expansion and relocation of both domestic and international businesses within the state.